Top of the line, Shelby Twp. Split level home! Hardwood flooring throughout main living space. Gorgeous kitchen, completely updated w/ brand new granite, ceramic tile floors, extra deep undermount sink AND stainless steel appliances included! Open to dining area, great space for entertaining. Pantry for extra storage space. 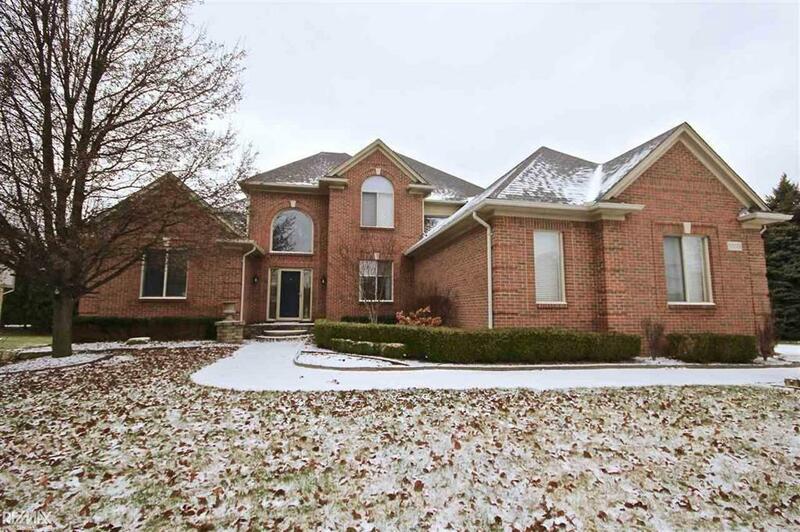 Huge great room w/ high ceilings, gas fireplace, crown molding & tons of natural lighting. Formal dining room perfect for hosting dinner parties or holidays! Home office complete w/ built in shelving. Spacious first floor master bedroom w/ two walk-in closets & attached full bath including soaker tub & separate shower stall. 3 additional bedrooms upstairs, each w/ample closet space. Main full bath featuring double vanity w/ undermount sinks. Convenient first floor laundry. Basement space great for storage, prepped for full bath. Walk out to your backyard to find double level brick paver patio w/a fire pit! 3 car attached garage with side entry.